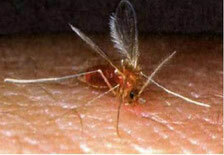 It is carried out and transmitted by sand fly which is active in summer between May and September. A sand fly is small, yellow and does not buzz and can also give us rather painful stings. Very often significant changes to the surface of the skin are to be seen and in the worst case the animal suffers kidney failure. This disease is not curable, however, due to today's drugs the illness can be reduced considerably and thus prolong the dog’s life for many years. Only when dog’s kidneys fail to perform should one decide to put it to sleep-because kidney failure is usually deadly and rather painful. The dog cannot transmit the disease to a person. 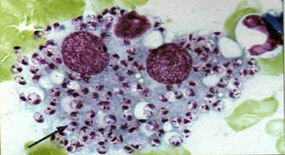 Leishmaniasis can manifest itself in many different forms. How can you protect your dog? Try to protect it from the sand fly! How can I detect Leishmaniosis? These parasites can ONLY be detected through blood test! It would be advisable to have blood taken, preferably in November or December to be able to react at an early stage to this disease. 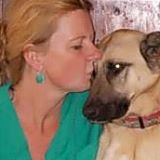 What can if do if my dog already has Leishmaniosis?